The Scoop: The Meet Group owns a number of highly successful and well-known dating sites and apps, including MeetMe, LOVOO, Tagged, Skout, and Hi5. These brands share similar high-tech social networking features and cater to audiences around the world. What started with MeetMe in 2005 has now grown into a network of over 4 million active users. Since 2017, The Meet Group has seen a spike in mobile engagement thanks to a new live video streaming feature, which is currently up and running on MeetMe and the company’s other apps. Because The Meet Group team runs several large dating apps, it can be hard for individual team members to understand the impact their day-to-day work can have. That’s why the team has a longstanding tradition of sharing success stories during company lunches. In the past, that meant reading a testimonial aloud or showing a picture of a family sent by users who met on MeetMe, LOVOO, Tagged, or one of the company’s other brands. The team would listen and applaud as a coworker shared someone else’s love story. Then one afternoon, a team member pulled up a video posted by a user who wanted to thank the team in a more personal way. The video blew everyone away and put a face to the app’s success. Once MeetMe began offering video streaming technology, video testimonials started coming in. This was an unexpected treat for The Meet Group team, who could now hear users tell them exactly what the dating apps meant for them. The videos served as a touching reminder of the app’s ultimate goal, which is to introduce people to their next best friend, pen pal, or love interest. Thanks to MeetMe Live, users have grown closer to one another on the app, and The Meet Group team can now see those connections in videos forwarded to them. 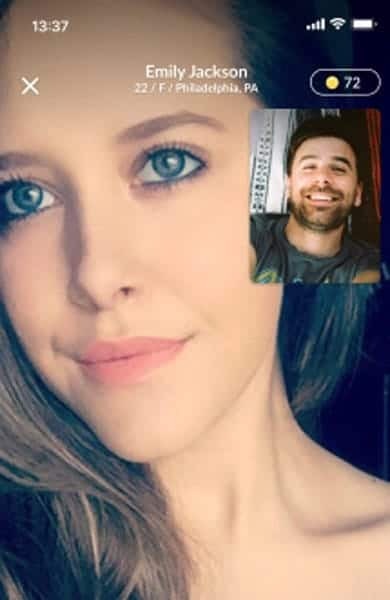 Dating experts have long forecasted that video features will be the future of online dating, and The Meet Group is pioneering that area with Live, a video streaming feature designed to bring people together in meaningful ways. MeetMe Live launched with much fanfare last year, and users responded immediately. The team has seen its engagement numbers spike with total daily time spent in video exceeding 25 million video minutes as users tell their stories and showcase their personalities via the live streaming feature. Users build a rapport by watching videos and sending hearts and other virtual gifts to one another. It’s more than simply a medium to talk about themselves — it’s a way to invite potential dates and friends into their lives and provide a more detailed look at who they are. MeetMe is a fun social app with live chat and video. Members can now go Live when they want to spark a connection and get people interested in them. They simply press the camera button in the app and then create a livestream that other members can like or follow in real time. They can also initiate a Quick video chat with other members on the app. This interactive system creates a win-win for the dating app and user. The app grows more popular and successful, and the user has more fun and makes more lasting connections as a result. 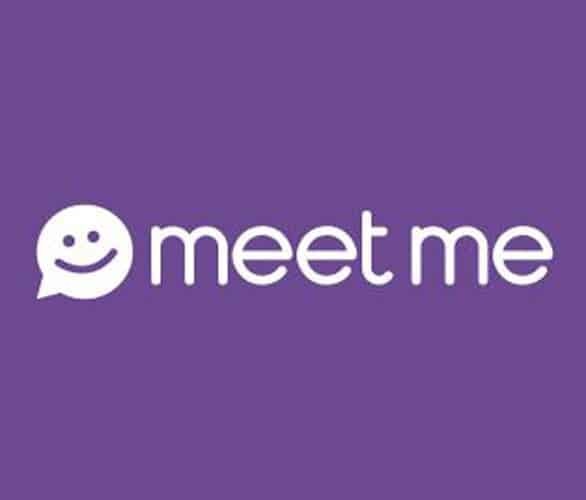 Members who use MeetMe Live regularly reported in a survey that the video streaming and chatting features have improved their overall experience on the app. They say they feel a deeper connection to other users on the app because of the ability to see them in real time. Catherine told us that the video feature has bolstered, not replaced, the tried-and-true chat features on MeetMe. In response to the success of the video feature on MeetMe, The Meet Group rolled out live video streaming on its other apps, culminating in the launch on LOVOO this past summer. Just by the numbers alone, The Meet Group is an impressive organization. In the average day, the portfolio of apps attracts over 4 million active users with over 900,000 using videos every day, of which an average of 125,000 broadcast. The Meet Group has gained momentum in the dating industry thanks to increased user engagement on the apps. It’s no wonder The Philadelphia Business Journal named The Meet Group one of the fastest-growing companies two years running. The membership isn’t the only thing that’s growing — The Meet Group’s products have become more financially successful in the last year. In the second quarter of 2018, The Meet Group’s quarterly revenue was $42.8 million, which was up 37% from the previous year. This capable team makes an effort to listen to modern daters and be responsive to their needs. Over the years, they have conducted multiple surveys to keep tabs on what singles are thinking and devise ways to streamline the online dating process. Almost as soon as MeetMe Live went live, the positive feedback started pouring in. Users have said they love being able to stream videos and talk to potential dates in a more casual and authentic way. The video feature acknowledges that not everyone is a natural-born wordsmith, and text-based communication isn’t the only way to attract a potential date online. MeetMe has an average rating of 4.2 stars on Google Play and 4.0 stars on iTunes. MeetMe’s unprecedented success has motivated The Meet Group to upgrade and improve all its apps. The team plans to continue to build its video streaming and chatting features on all its dating products in the near future, and it expects to see them resonate with users across the board. Whether they’re streaming videos to attract a crush or just want a group to chat with, members enjoy having an outlet for their thoughts and a way to connect more authentically online. Video features give a face and a voice to the mobile community, and that can go a long way toward building strong emotional bonds. The Meet Group team has experienced that for themselves when watching video testimonials sent by satisfied MeetMe users. It’s just a more personal way to communicate, and that makes it ideal for active daters hoping to expand their social networks. Since the launch of its first brand in 2005, The Meet Group has made a name for itself as an innovator in the industry. As the team continues to expand and build on its success, we can expect great things to come from this dating company.